Not recognizing the cultural diversity of Indigenous Peoples in Canada is one of the most common mistakes non-Indigenous people make when engaging with Indigenous communities. Respect for cultural diversity is an aspect of Canadian society that is of great appeal to people from other countries who want to move here, and is supported by the Multiculturalism Act of 1988. The average Canadian would proudly say they respect cultural diversity. However, cultural diversity within the Indigenous population is frequently not recognized nor respected in common practice. There is a misconception that Indigenous Peoples are one homogenous group who share the same culture, traditions, worldviews, language, needs and desires. Little could be further from the truth. There are three distinct groups of Indigenous Peoples - First Nation or Indian, Métis and Inuit as defined by the British North America Act, 1867, the Indian Act; and the Constitution Act, 1982. There are more than 1,400,685 people in Canada who identify as an Indigenous person (according to the 2011 voluntary National Household Survey; the last mandatory census was in 2006). Let’s take a look at the largest group - First Nations. There are over 600 bands and over 2,000 reserves - each one with a distinct history that shaped their particular cultural identity. They each have distinct economies, capacities, and challenges. 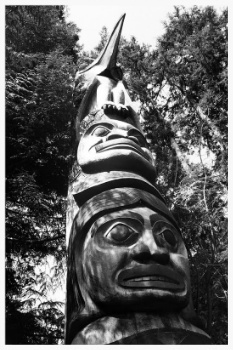 In BC alone there is an amazing diversity of First Nation culture and language - there are over 200 First Nation communities in the province - each with its own unique culture, traditions and history. These 200 communities represent 60% of the First Nation languages spoken in Canada. Speaking of language, did you know that outside of Quebec, English is becoming the common language of Aboriginal people in Canada? Recognition of the unique history, culture and traditions of each community is a fundamental first step Canadians can take to respect Indigenous Peoples. If readers believe Indigenous Peoples should all be equal then they are not respecting and recognizing diversity. In terms of an extractive company, an educator, a government representative, or average Joe or Josephine (to be respectful) time spent researching and developing an understanding of the unique background of each community will increase your understanding of what is important to that community, what they are proud of, and what they will fight to protect. For more on cultural diversity, we have a presentation you might find interesting "Community Diversity, Engagement Diversity"
If you are looking for Indigenous relations training, check out our Training Weeks, which we offer in a number of major cities.